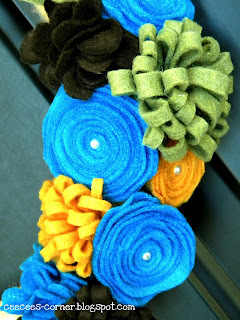 This week, I have been working on some custom yarn wreath orders. 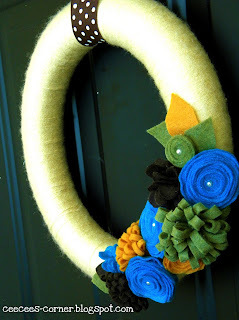 Among one of my favorites was a wreath I made for one of my husbands co-workers. She wanted to have a beige yarn, with teal and light orange roses. For some reason, I couldn't visualize the end product. but we just couldn't find the right shade of orange. Did you know that they don't really make a lot of orange felt? so we settle on a mustard yellow felt. We decided to add some accent colors with olive green and chocolate brown felt. I bought all the supplies, came home, and started wrapping the wreath. When I wrap my wreaths, I love using Vanna White yarn. 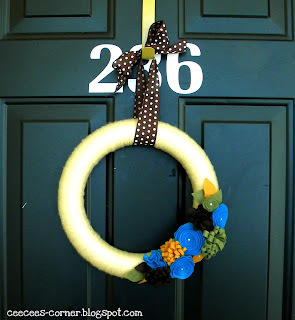 It is so soft and smooth, and just gives a nice satin looking finish to the wreath. I will never use cheap yarn to wrap my wreaths. and even made a new kind of flower. I was pleasantly surprised with the end result! "Sheesh... that is one good looking wreath. I'm so proud!" 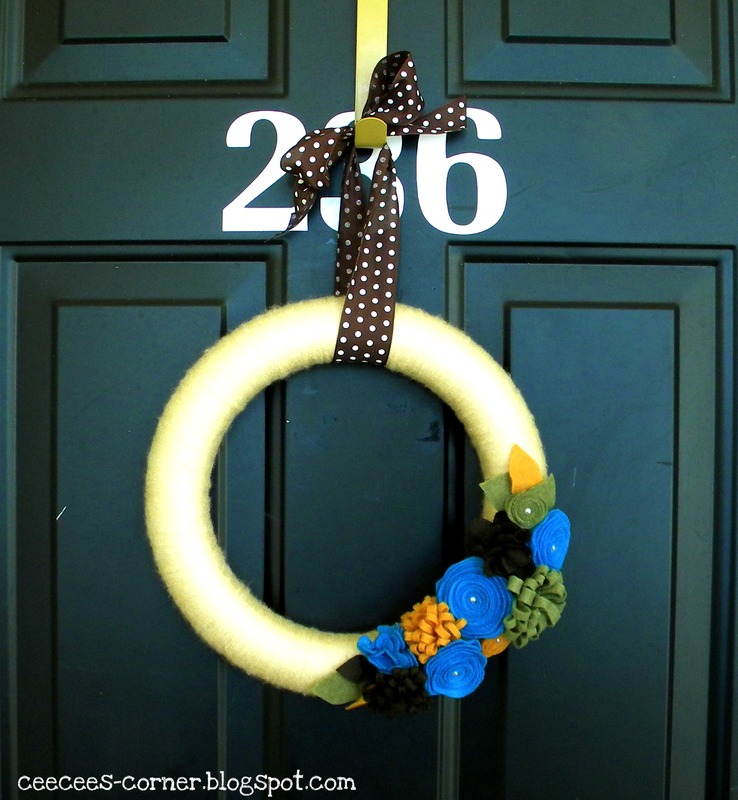 it's just that I had the darndest time figuring out how this wreath was going to come together. So, what's the moral of today's exciting story?